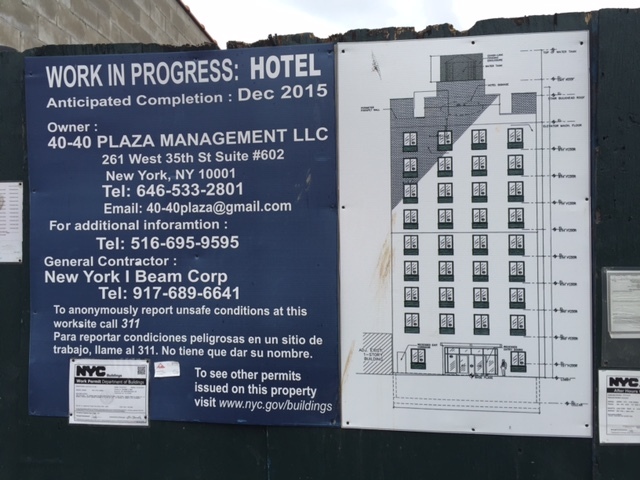 It has been slow going at 40-40 27th Street, the future home of a nine-story hotel. 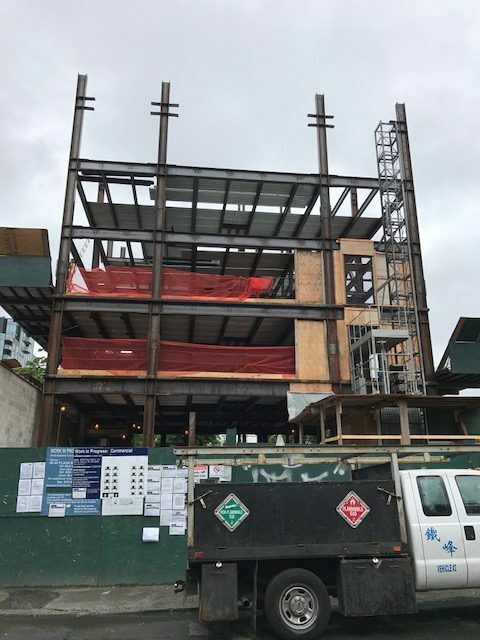 We last checked in back in March, 2016, when foundation work was complete.1 When we stopped by last week, we saw that construction beams had been installed on site, with the building rising to about four stories. On-site signage calls for a December, 2015 delivery, so obviously that’s not happening.